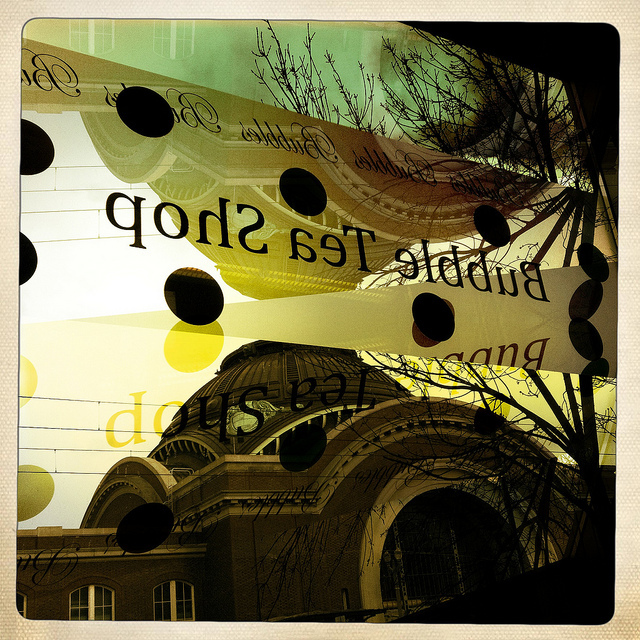 Today I had parental obligations and found myself near the University of Washington Tacoma campus. I took the first parking spot I came to and found myself in front of the recently opened Bubble Tea Shop at 1712 Pacific Avenue, Tacoma. It was great to see a new business along the strip. 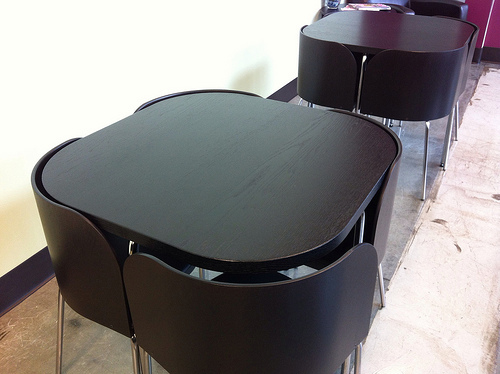 We enjoyed our bubble teas and thought the shop had the coolest black tables. 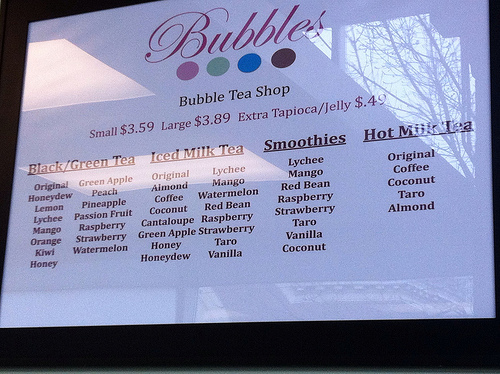 This entry was posted in Coffee Shops, cafes and bistros, Restaurants, Tacoma, WA State - Pierce County and tagged black tea, bubble tea, drinks, green tea, milk tea, restaurant, School of the Arts, smoothie, Tacoma, Tea, tea shop, University of Washington on March 13, 2012 by admin.